Big results and an injury in Dallas led to the Dallas Stars first call up of the year for forward Brett Ritchie. The second year pro had a five goal weekend and was named the AHL's Player of the Week on Monday. Shawn Horcoff was ill this morning and was doubtful for tonight's game against the Coyotes. Dallas coach Lindy Ruff said "another player" was also iffy with injury. Looks like they decided to pull the trigger on Ritchie to compensate. Ritchie skated a full practice this morning for Texas. 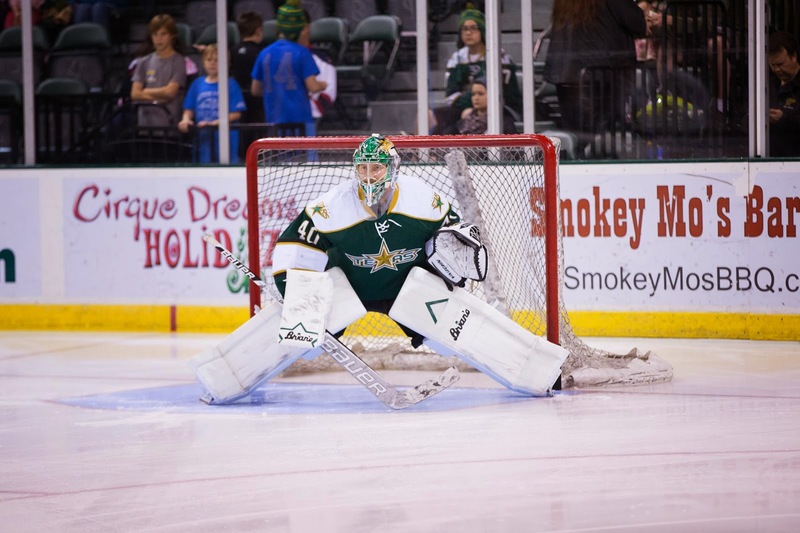 In an unrelated move, the Texas Stars returned goalie Henrik Kiviaho to the Idaho Steelheads. Kiviaho backed up Jussi Rynnas on Sunday. 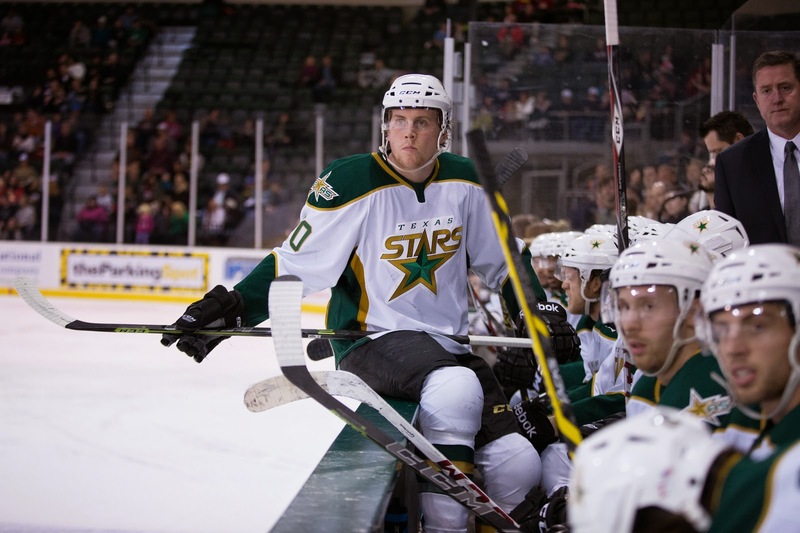 A dominating week from Brett Ritchie has earned the Texas Stars forward CCM/AHL Player of the Week honors. It is the first such award for the forward and the first of the year for any Texas Star. Ritchie scored his second pro hat trick on Saturday and followed it up with two more goals on Sunday for a total of five. He finished Saturday's game with a blistering 10 shots. He was plus-7 on the weekend overall. It's a huge bit of good news for a Stars club that has been working to make a big comeback in the standings. If the Stars are to make the playoffs, it's a guarantee that Ritchie needs to be a big part of it. 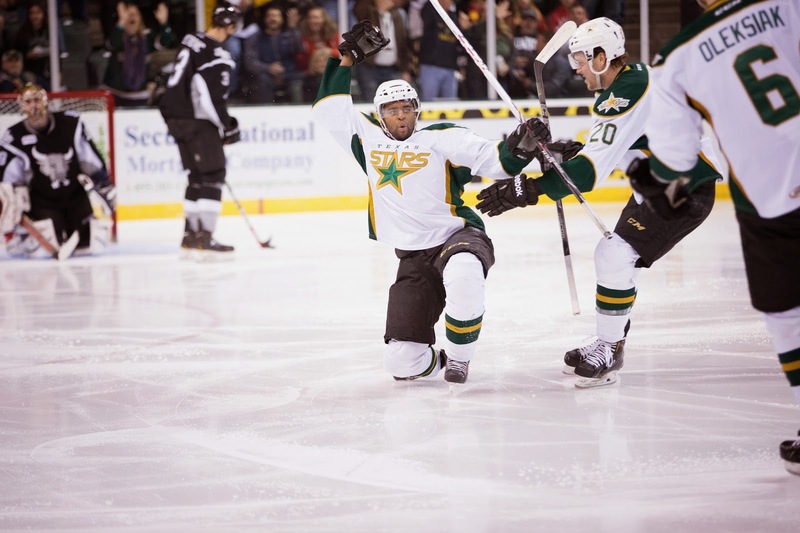 Heading to the rink today, Gemel Smith had no idea he had a chance at the night he was about to have for the Stars. When he arrived for today's game, the rookie center found out he would be centering the top line between Curtis McKenzie and Brett Ritchie. He cashed in with two goals in the 6-3 victory over the San Antonio Rampage. "That was my first time," said Smith. "I've never skated on a line with them, not even in practice. It was a great opportunity." Smith potted his first professional goal against San Antonio on Friday and followed up with two more today. Coach Laxdal praised the young forward for his work over the past month, which set him up for the chance at the top line minutes today. "He's been playing very well this past month," said Laxdal. "He's hard on the puck down low and has good speed. We thought he could take a step on that line and play more of a puck possession game. If it works out for him to play in the top six, now we have a guy pushing for extra minutes." Injuries to Justin Dowling and Radek Faksa created the opportunity for Smith. His linemates also had great nights with McKenzie tallying a goal and an assist and Ritchie two goals including the game-winner. McKenzie had praise for his new centerman as well, "Getting on a first line at this level is huge for him. It weighs on you when you aren't putting the puck in the net, so it's good to see them go in for him." With the win, Texas finishes their 3-in-3 weekend with four of six possible points and a seventh place spot in the Conference standings. "Tonight, for the amount of bodies we were down, I thought the guys stepped up," Laxdal continued. "These are games that define the development of your younger players. It was a hard fought game against a big, strong, talented team. It put us just three points back from them. It keeps us in the hunt." Smith started his torrid night just 23 seconds in. Bobby Butler turned the puck over to Smith in the slot and the forward cashed in on Ellis for the 1-0 lead. It was a result of a strong forecheck that Laxdal called out post game. Butler got the goal back quickly thereafter. Mike Dalhuisen, who was pressed into service as a forward, took an undisciplined penalty to hand San Antonio a power play. After failing to start a fight, Dalhuisen shoved down a Rampage skater as he made his way off the ice, pulling an interference call. Dalhuisen made up for it when he drew a cross-checking call on Racine. Curtis McKenzie finished a pinball play with his fourth of the year. Derek Meech and Derek Hulak assisted on the power play goal. The Stars continued their strong play into the second period, scoring three goals. Garrett Wilson scored on the power play to open the period and tie the game, but then Texas went to work. Scott Valentine got his first AHL goal of the season on a one-timer pass from Matej Stransky. Ritchie scored his fourth in two games through traffic just three minutes later to make it 4-2. Jesse Blacker brought San Antonio back within one but Smith answered with his second of the night. "Our team takes pride in driving to the net hard," said Smith. "McKenzie shot the puck and it bounced right out to me." Brett Ritchie polished off the game with an empty netter in the 17th minute as the Rampage pulled Ellis with over three minutes left in the game. Texas will take tomorrow off and get back to a skills-based practice on Tuesday. The Stars are next in action on Saturday at Charlotte. Justin Dowling and Radek Faksa are day-to-day. Matt Mangene left the game in the third after blocking a shot. He was spitting up blood on the bench and went to the hospital. Nothing further is known at this time. UPDATE: Cameron Gaunce has been reassigned by Dallas to Texas. The final game of the final 3-in-3 of the season is this afternoon against the visiting San Antonio Rampage. Coach Laxdal pointed out that the 3-in-3 wears on the players mentally. Brett Ritchie agrees, "It's not easy. You wake up the next morning, and you're pretty tired. It's all mental though, you're never as tired as you think you are." Both teams will be coming into their third in three nights. San Antonio played Oklahoma City last night, dropping an overtime contest at the AT&T Center. Ritchie added, "The other team will be in the same boat tomorrow. They'll have a three-in-three so it's no excuse." With a win, the Stars can pull within three points of San Antonio. More importantly, the Stars have a shot at 7th place in the conference with a win. Milwaukee, Grand Rapids and Hamilton are all idle tomorrow, and they rank 7th through 9th in the conference. Henrik Kiviaho will back up today. It looks like Jack Campbell was pressed into service last night a bit prematurely as the Stars' coach indicated one of their goalies was having injury issues. 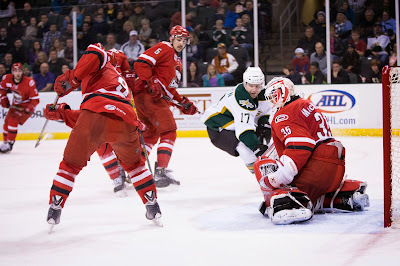 Two teams that combine for just under five goals per game on average scored five between them in the first as the Texas Stars edged the Charlotte Checkers 3-2 in Cedar Park tonight. 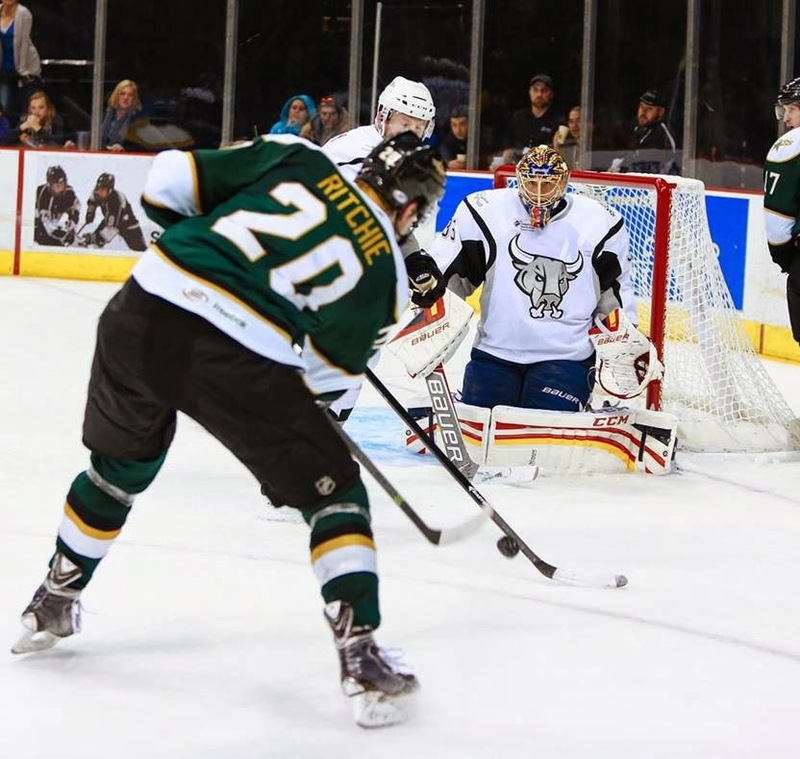 Brett Ritchie potted a hat trick, his second pro trick, including the game-winning goal. "It's funny," said Coach Laxdal. "I thought we played a better sixty minutes last night and didn't get the win. Tonight we were less energetic but did get the win." The big goal scorer agreed, "Last night, [San Antonio was] scoring on every other shot. We had the same thing happen to us tonight. It's a funny game sometimes, but if you put out a good game, you'll get a good result more often than not." Jussi Rynnas got the win, stopping 20 of 23 shots against. He had started last night as well but was pulled after allowing three goals on five shots. It was a nice rebound win for the big Finn. Greg Rallo opened the scoring off the stick of a Charlotte skater. A.J. Jenks saw the puck ride his stick and into the top of the net behind his goaltender, John Muse. The 1-0 goal was Rallo's ninth of the season and sixth in his last eight games. "I'll take it," said Rallo. "I just tried to get it to the net, and their guy ended up tipping it in." Rallo credits getting healthy again with the resurgence in his scoring. "I lost it a bit last season but that's going to happen in your career. Being here again and getting a chance to play in key roles is big for me. When you get those roles, you have to score." Brett Ritchie doubled the lead 66 seconds later, finishing off a great pass from Brendan Ranford on a 3-on-1. Matt Mangene picked up his third point in four game with Texas. It was a very pretty goal for the forward who has had a spotty goal scoring record so far this season. Coach Laxdal pointed out the biggest thing for Ritchie is finding consistency. When he finds that, Laxdal said, "we won't see him here." He'll be in Dallas. Charlotte cut into the Stars' lead with another goal off a defender. Jared Staal got the tally for the Checkers but it went off the stick of a Texas player to beat Jussi Rynnas into the top-right corner of the net. That came less than a minute after the Stars second tally. Laxdal added, "I didn't like the first goal, but that's hockey." John Muse handed the Stars their third goal of the game, mishandling the puck behind his own net. A forechecking Brett Ritchie picked up the puck and had a sharp angle backhand shot at an empty net with Muse still behind the cage. Phil Di Giuseppe got Charlotte back to within one to end the frame. As a penalty to Curtis McKenzie was expiring, the winger beat Rynnas off a rebound of a Ryan Murphy point shot. McKenzie stepped onto the ice as the goal was scored, so it was an even strength tally. An uneventful second period saw the score stay at 3-2 through forty. Charlotte edged the Stars on shots 9-8 for a 22-17 lead through two periods. Texas locked down the third, which Coach Laxdal was very happy with. Brett Ritchie collected the hat trick goal in the final minute off a pass form Radek Faksa, who sent the puck to Ritchie's stick from behind the net. The Stars finish the 3-in-3 tomorrow against San Antonio. Underneath the tree this year, the Charlotte Checkers found plane tickets to Austin. They'll come off their holiday break to visit the Texas Stars tonight in Cedar Park. The Checkers are one of two teams in the West Division behind Texas in the standings. The gap seems large, but a head-to-head win tonight for the Checkers could do a lot to close it. Charlotte hit the break with a good burst of momentum. They defeated the San Antonio Rampage in a grinding 3-1 game where they netted an ENG to seal the deal in the final 15 seconds of the game. Drew MacIntyre, the goalie who got that win for the Checkers, is guaranteed not to be in net for them tonight, however. MacIntyre was selected by Scott White and the Team Canada staff to play in the Spengler Cup in Davos, Switzerland this week. He backed up Nolan Schaefer in Canada's 2-1 loss to host HC Davos yesterday. Team Canada, which features former Texas Star Mike Hedden, will play KHL club Zagreb today. In other tourney news, in the World Junior yesterday, Julius Honka and Finland fell to the USA in a shootout yesterday in Montreal. Honka will play again today against a Slovakia squad, which includes potential future Stars teammate, Matej Paulovič. Ahead of tonight's game, the Stars announced that Dallas has recalled defenseman Cameron Gaunce to Dallas. Texas has no shortage of defensemen, however. They recalled Mike Dalhuisen yesterday in an unannounced roster move. That leaves them with Fortunus, Meech, Oleksiak, Hardowa, Wrenn, Mangene and Dalhuisen. Oleksiak is the only Texas Star on the roster with a Dallas contract currently. The Stars reboot their season after the holiday break with their final three-in-three of the year. This one features two home games and a very close road game in San Antonio tonight. During the break, Texas shuffled a bit on defense. Julius Honka will play today at 2 PM Central for Finland against the USA at the World Junior Championship. On Christmas Eve, the Dallas Stars assigned Jamie Oleksiak to Texas as well. Oleksiak should slide right into the lineup and eat up a lot of minutes for the club. Brett Ritchie missed two games before the break and could be out with injury. With the team on the road, it's harder to get that information. That's something to watch for tonight. The Rampage have also lost one player to a holiday tournament. The Spengler Cup, played each year in Europe, will feature Ryan Martindale, forward for the Rampage. Former Star Mike Hedden is also on the Canada roster. Texas dropped their final game before the Christmas break by a 5-2 final in Hamilton. Greg Rallo got a goal to stay hot with four in his last five games. Still, Texas dropped the contest with Jack Campbell taking a loss, stopping 22 of 26 shots. A late power play goal in the third period by Greg Rallo gave the Texas Stars life, but an empty-net goal for the Hamilton Bulldogs put the finishing touch on a 5-2 final at FirstOntario Centre on Sunday afternoon to close out the Texas three-game weekend. Working with a four-minute power play late in the third, Rallo buried a rebound goal at 13:23 to make it a 4-2 deficit for the Stars. Staying on the power play for another two minutes, the Stars (11-9-8-0) opted for the extra attacker to try and cut the deficit to one, but Drayson Bowman scored an empty-net goal with 2:24 left in regulation to seal the win for the Bulldogs (14-11-5-0). Curtis McKenzie tallied an assist in his return to the Texas lineup after being reassigned by the NHL's Dallas Stars on Friday. Matt Mangene had an assist for his second straight game after signing with the Stars on Saturday. Jack Campbell took the loss, stopping 22 shots. Dustin Tokarski was 29-of-31 in net for the Bulldogs in the win. Texas visits the San Antonio Rampage on Friday at 7:30 p.m.
Darren Dietz opened up the scoring with a wrist shot from the point at 5:05 of the first period to give Hamilton the early lead. In the second, Connor Crisp made it a 2-0 deficit for the Stars, deflecting a point shot by Davis Drewiske past Campbell at 10:04. 10 seconds later Justin Dowling responded for Texas after driving the right circle and snapping a wrist shot home for his eight of the season. Derek Hulak set up Dowling for the rush on a cross-ice feed at center ice to earn the assist. The Bulldogs jumped out to a 4-1 lead in the third as Jake Dowell scored on a shorthanded break at 2:51, and then Maxime Macenauer added his fourth of the year nearly five minutes later. The Stars finished 1-for-7 on the power play and held the Bulldogs scoreless on five opportunites. Texas has given up just three power play goals in their opponents' last 44 chances. Derek Meech tallied a point for the second straight game for the Stars, assisting on Rallo's goal. Texas rolls into Hamilton to finish their 3-in-3 weekend against another team just outside the playoff picture. The Bulldogs have one more point than the Stars and sit in 10th place. The Dogs also have the advantage of having played two more games than the visiting Stars. Today's game represents a chance to directly gain ground on a team that Texas will have to scrape and claw against to make it back to the postseason. Despite what it might feel like, the Stars are very close to the playoff race here. Yesterday's two points were good, but everyone else around them also picked up their two points. Yesterday, 30 points would have been good for a playoff spot. Today, a win and 32 points overall would put the Stars in 6th place heading into the Christmas break. In fact, with two points tomorrow, the Stars are a good bet to hit the holiday gap with at least eighth place. Chicago and Milwaukee also play today, but the wild card is that Chicago and Grand Rapids play each other on Monday. Ending the 3-in-3 in playoff position would have to be a win for Laxdal's squad. Dallas was saavy to send Curtis McKenzie down to the Texas Stars before the holiday roster freeze. He didn't make it to Toronto in time for yesterday's game, but he will be with the team for today's game. Other items to watch include Brett Ritchie's presence in the lineup. The Stars dressed seven defensemen yesterday, including newcomer Matt Mangene, and did not dress Ritchie. The Stars got the exact type of game they needed this afternoon in Toronto, scoring in each period and allowing just a single goal the other way. The club was perfect on the penalty kill and scored on the power play as well. Jack Campbell saw his first game action since December 3rd and stopped 32 of 33. 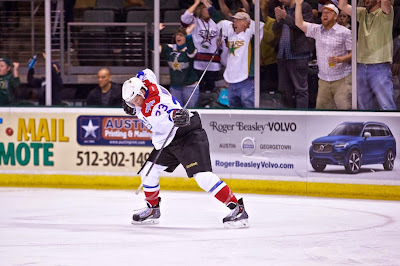 Derek Hulak opened the scoring in the first period off the assist of Taylor Stefishen, his first point as a Texas Star. The rebound goal was the only scoring in the first period, where Texas just shellacked Christopher Gibson in the Marlies' net. They outshot Toronto 14-5 in the frame. Toronto outshot Texas 13-12 in the second period, but it didn't matter for the score in the frame. The only scoring of the period came as the Stars had a man advantage. Derek Meech had his fourth of the year with an assist from the newest Stars, Matt Mangene. Mangene played last night in Florida and earned his first point for the Stars less than 16 hours later. Mangene had a solid game as the Stars dressed seven defensemen. William Wrenn shuffled out of the lineup as Scott Valentine and Mangene stepped in. Valentine had been out since last week's shot block against Charlotte that sent him limping off the ice. The teams traded goals in the third period. Brendan Ranford got his fifth of the year in the opening two minutes of the frame. Jesse Root had the lone assist. Toronto's Matt Frattin broke up Jack Campbell's shutout a few minutes later to make it 3-1. The Stars took a few late penalties and found themselves down 6-on-4 and 6-on-5 in the final five minutes of the game. They would bend but not break to collect two points. Texas finishes their 3-in-3 against Hamilton tomorrow in another 2:00 PM Central start. The 3-in-3 continues in Toronto with an early game, especially for a Saturday. Might have something to do with the Maple Leafs home game tonight at the Air Canada Centre. Just a guess. Last night's first period was exactly how Texas wants to play hockey. Last night's second and third periods saw those early gains disappear and ultimately come undone in overtime. It's not precisely clear why the Stars have had so much troubling closing out games, but it is clear that it's a going concern for the team. Texas has eight OT losses on the season, leading the AHL. The next closest clubs have five each (STJ and HAM). The standings are pretty tight and a 2-8 record past sixty isn't helping. If Texas can convert half of those losses to wins, that's four points. Ignoring their opponents not earning a point, just earning the four points themselves would vault them from 11th place to 6th in the West. The good news for the Stars right now is that they are in the pack of teams on the playoff bubble. Just three points separate 6th place Chicago from 11th place Texas. Toronto, today's opponent, is five points back from the Stars but just one place behind them in the standings. They are at the top of the 'third grouping' of teams in the West and look more likely each day to not make the playoffs. Charlotte, Rochester and Iowa round out the group. Note that Dallas assigned Curtis McKenzie to Texas after their game against Calgary tonight. With the early start, he may not make the game in Toronto today. The Stars drew an early penalty and managed to score before Jussi Rynnas could even make it off the ice for the extra attacker. Greg Rallo, who drew the call, assisted on Radek Faksa's 3rd of the year. Scott Glennie piciked up his third of the year off the assist from Brendan Ranford and Jesse Root as the period closed and the Stars appeared to be in pole position. Former Star Dustin Jeffrey opened the Comets' scoring account on the night in the second period. A wrister from Brendan Gaunce in the third tied the game up at two a piece. In overtime, Bobby Sanguenetti scored on the breakaway to end the game during the 4-on-4 segment. Jussi Rynnas finished with 28 saves on 31 shots. 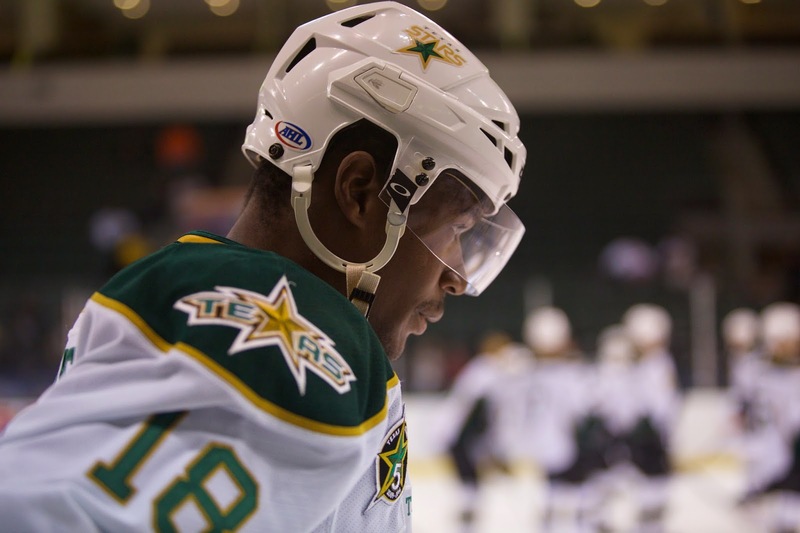 The AHL's All-Star Classic in Utica is just over a month away and today, the league announced that long-time Texas Star Maxime Fortunus would be serving as the captain of the Western Conference All-Star team. Fortunus is in his 12th pro year, the last six coming with the Texas Stars. He has been the team captain since 2012-13. It will be his All-Star debut. American Hockey League President and CEO David Andrews announced today that Wilkes-Barre/Scranton Penguins forward Tom Kostopoulos and Texas Stars defenseman Maxime Fortunus have been selected to serve as playing captains for the 2015 AHL All-Star Classic presented by Turning Stone Resort Casino, to be held January 25-26 in Utica, N.Y.
Captains for the American Hockey League All-Star teams are selected by the league president in recognition of their outstanding leadership and service. Tom Kostopoulos is in his 16th professional season and eighth as a member of the Wilkes-Barre/Scranton Penguins, where he holds the franchise records for goals, assists, points and games played. The 35-year-old native of Mississauga, Ont., has skated in more than 1,100 pro games, including 495 in the AHL with Wilkes-Barre and Manchester and 630 in the NHL with Pittsburgh, Los Angeles, Montreal, Carolina, Calgary and New Jersey. Now in his second stint as Wilkes-Barre’s team captain (2002-04, 2013- ), Kostopoulos has totaled 152 goals and 231 assists for 383 points in the AHL and helped the Penguins reach the Calder Cup Finals in 2001 and 2004. Kostopoulos, who made an AHL All-Star Classic appearance in 2002 and missed the 2005 event due to injury, will captain the Eastern Conference AHL All-Stars. A 12th-year pro now in his sixth season with the Texas Stars and third as team captain, Maxime Fortunus has skated in 658 regular-season AHL games with Texas, Manitoba and Houston, registering 59 goals and 161 assists for 220 points. The 31-year-old native of La Prairie, Que., appeared in the Calder Cup Finals in 2009 and 2010 before captaining the Stars to the championship in 2014, and is tied for sixth all-time with 115 career AHL playoff games played. Undrafted, Fortunus signed as a free agent with Dallas in 2008 and has played nine career NHL contests with the Stars. Fortunus will be making his AHL All-Star Classic debut as captain of the Western Conference All-Star team. Did you know the Texas Stars also play hockey? Among all the other news going on in the American League this week, including OKC leaving and the Dallas Stars buying the Texas Stars, there's hockey to be played this weekend. Texas embarks on a road-only 3-in-3 this weekend against Utica, Toronto and Hamilton. Those three teams run the gamut of possible season outcomes. Utica, tonight's opponent, leads the Western Conference and is just a tick behind the Manchester Monarchs for the best record in the conference. Hamilton is on the playoff bubble, and Toronto appears to be on their way to being out of the running. Cal O'Reilly boasts one of the best stat lines in the AHL with 3-23=26 and former Star Dustin Jeffrey is 6-14=20. In net, things are quite good with former San Antonio Rampage goalie Jacob Markstrom taking names and Joacim Eriksson doing the same. Eriksson has the 'worst' GAA on the team with a 2.30 average. Markstrom is down at 1.77. Markstrom is currently out with an injury and Joe Cannata is backing up. He's only got one AHL game this season and spend most of the year with ECHL Ontario where he has an impressive .934 SV% and 1.77 GAA. It seems like Texas has something in their team DNA that gives them something over the Comets. The Stars lost in OT in their most recent matchup and beat them 1-0 in a tight goalie duel in the early season. While Utica is beating up on other teams, the Stars appear to be able to find points against them. After last week's debacle against Charlotte, the Stars will look to get more out of those depth guys, as Coach Laxdal alluded to, and get more finish and effort from their top guys, as Laxdal explicitly called out. What had been a whisper in the offseason grew into a roar today as one source reported and the Oilers later confirmed that the Oklahoma City Barons would cease operations at the end of the season and relocate to an as-yet unknown location. This appears to be the first domino in the long-rumoured AHL western expansion. Sources told Darren Dreger that the AHL is expecting to debut a western division in 2015 which would feature Edmonton's AHL affiliate along with affiliates of Calgary, San Jose, Los Angeles and Anaheim. 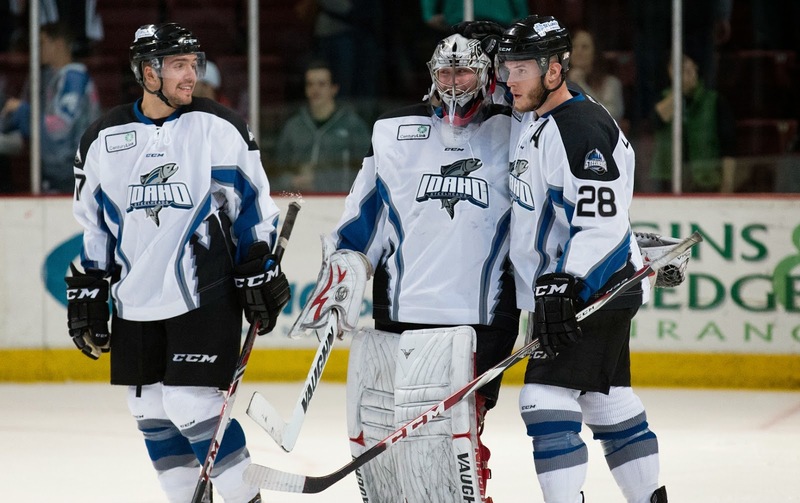 The Barons have been in the league for five years, joining in 2010-11, and have moved with the San Antonio Rampage and Texas Stars to whatever division the AHL created for them, whether South or West. Bob Funk, CEO of Prodigal, which operates the Barons, said the decision was "business-driven." "Without a more equitable financial agreement with economic terms to provide the best opportunity for sustained success, we can no longer justify additional investments in the operations without higher returns." Prodigal began operating a USL Pro level soccer team in Oklahoma City last year. They operated the Barons on a lease from the Oilers, who actually own the franchise. Oilers President and COO Patrick LaForge told CHED in Edmonton that Prodigal was being forced to make a decision in a window that opened in November and closed at the end of the year. They had to either end their lease with the Cox Convention Center or re-up on a ten-year lease. They made the decision to pull the plug. After losing local rival Houston after 2013, the Texas Stars lose another local trip, putting San Antonio on an island in Texas with the Dallas affiliate. At the Stars' sale press conference earlier today, Jim Lites indicated he thinks the Oilers "would be delighted to go to Houston," saying that there should be a facility just like the Cedar Park Center built in the city of Houston or a community nearby to hold an AHL club again. "We like OKC, but that's a long trip," he added. "We'd be much more excited about a team in Houston because you can play weekend games on the road because you avoid the 7-hour bus ride." That, of course, is no salve to dedicated Oklahoma City fans who found out today that they will not be able to watch AHL hockey in their hometown. Further, many good hockey people will be without jobs come this summer. This is obviously a dark day for the American Hockey League fans on the I-35 corridor. 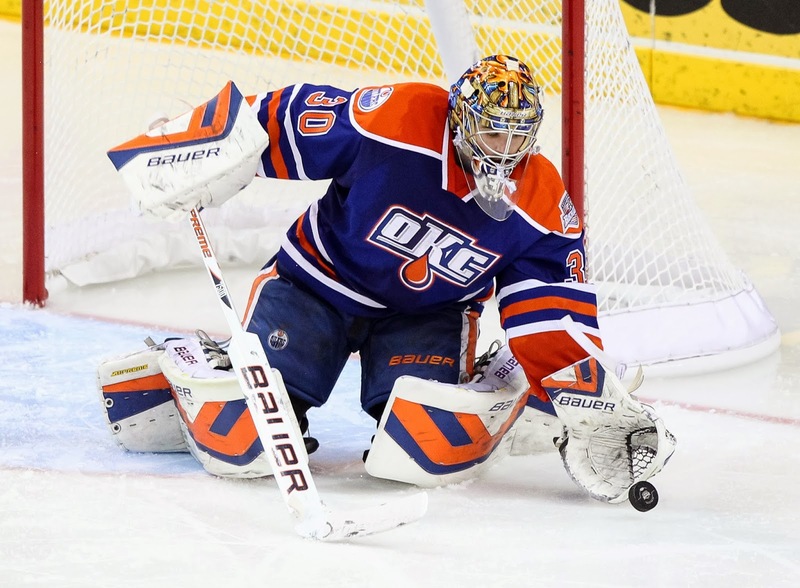 It can be reasonably assumed that hockey will return to Oklahoma City some day. With Wichita, Allen, Tulsa and Missouri all in close proximity, it makes a lot of sense to see an ECHL club in OKC sooner rather than later. Can we talk for a second? I know it's the holiday season, and happy news is usually the order of the day, but I think we need some #realtalk about the Texas Stars. Here it comes. Are you ready? This is not the same team that won the Calder Cup in June. I don't say this as an insult to the current team or its staff or anything. It's just a fact that the fans are going to have to get used to. Comparisons are inevitable. That's the basis of sport. That's how we decide whether the Cowboys in the 1990s or the Patriots in the 2000s were the better NFL team. Sport is all about comparison, so I get that. So then let's do this. Let's make the comparison. One of the big complaints I keep seeing is that Coach Laxdal inherited a Calder Cup winning team and all he had to do was put it on auto-pilot and it will win another. Did he inherit a Calder Cup winning team though? 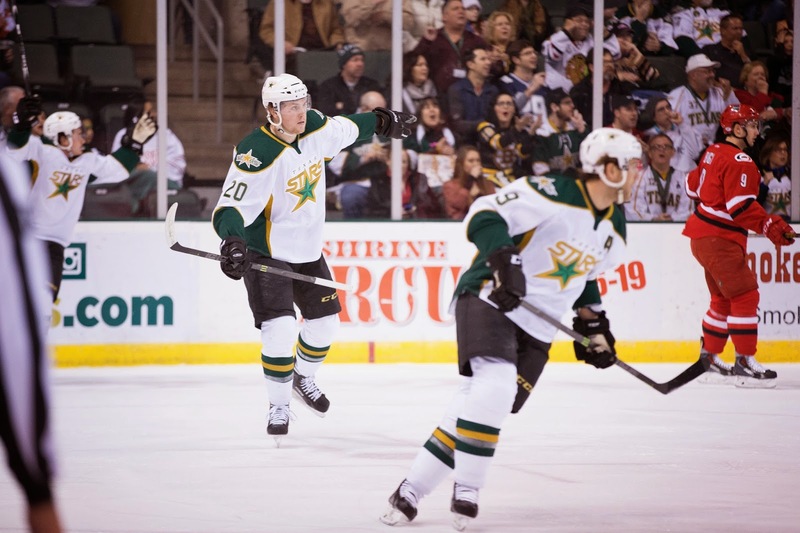 The Dallas Stars owner, Northland Properties, has completed the purchase of the Texas Stars. The deal was already approved by the AHL's Board of Governors. Operation of the Cedar Park Center was also transferred to the newly created Texas Stars, L.P., a Northland Properties subsidiary. 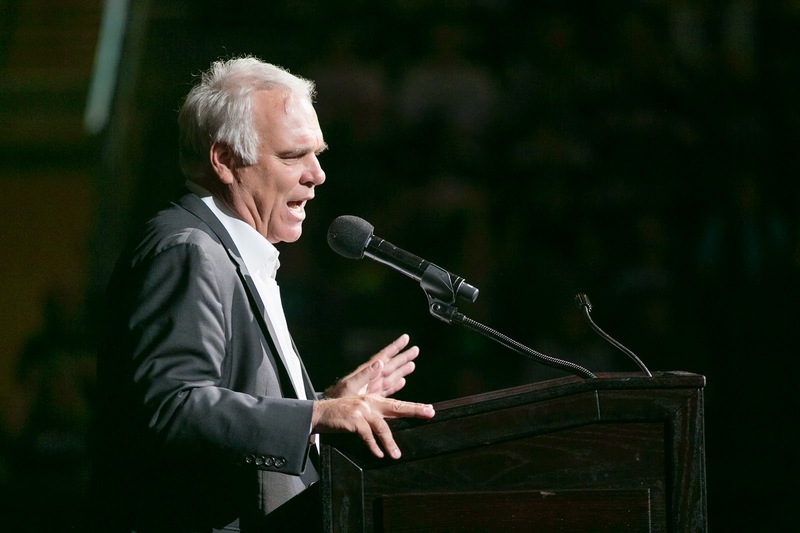 "My goal since taking over as owner of the Dallas Stars has been to create a culture that empowers people at all levels of our organization to strive for excellence," said Northland President and Dallas Stars Owner Tom Gaglardi. "Part of creating and instilling that culture means that you have to have direct leadership over all aspects of the formative and developmental levels of your team. The acquisition of the Texas Stars is a crucial part of that leadership and development chain, and reaffirms our vision of becoming an elite organization, both at the NHL and AHL levels." Earlier this week, it was reported that the Cedar Park city council had approved the deal to transfer ownership of the Cedar Park Center management piece. The deal reportedly adds 10 years to the Stars' lease of the Cedar Park Center, bringing the current lease to 20 years (or through 2034). The same report also indicated the agreement also "outlines a 50/50 cost share between the city and Northland to construct a marquee between the Cedar Park Center and Toll 183A just east of the center." For the on-ice team, there will be no changes. Coaches, staff and Dallas contracted players are all employees of the Dallas Stars. AHL contracted players will probably have a change on who's signing their paycheck, but otherwise there will be no changes. There will be a press conference for the announcement at the Cedar Park Center Thursday morning. 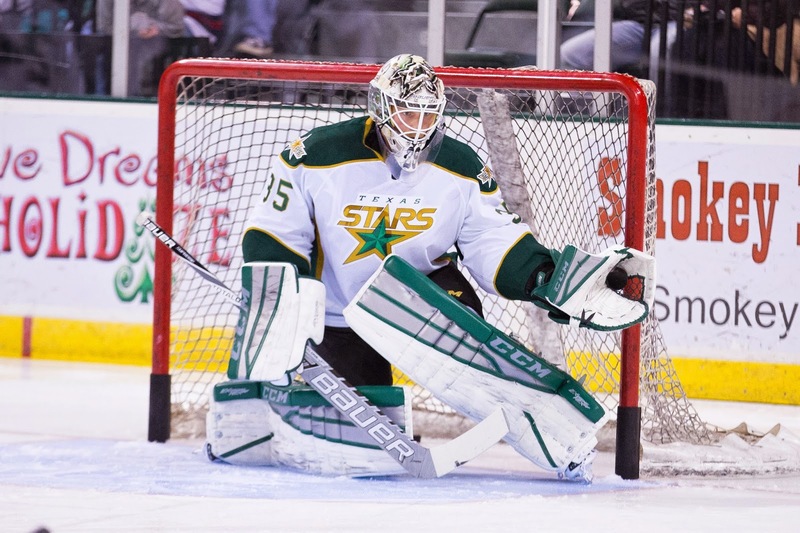 Anders Lindback has made five straight starts for the Texas Stars and now he's headed back to the Dallas Stars. The team announced this morning that they are recalling Lindback and sending Jussi Rynnas back to Texas. In five games with Texas, Lindback is 3-2 with a 1.59 GAA and .946 save percentage. Those are the best numbers the Stars have gotten out of a goaltender all year. Jussi Rynnas got into two games with Dallas, one as a starter and one in relief. He allowed seven goals in that limited time, possessing a 4.57 GAA and .841 save percentage. It appears that Dallas got exactly what they wanted for their backup goalie Lindback in the assignment. He picked up a heavy week of work, playing in five straight games to tune up his game. Now as they head out on the road, they can feel more confident in Lindback as a starter on the occasional night. Lindback will join Dallas in advance of their western Canada swing. Rynnas will begin practice with Texas when they resume team activities on Tuesday before Friday's visit to Utica. Another back-to-back against Charlotte yielded the same result as Texas dominated the first game and got stopped up in the second, losing for the first time in a week tonight against the Checkers. Drew MacIntyre was on his game as both teams trotted out the same starters in net for a rematch of last night's contest. Despite MacIntyre's phenomenal play, Coach Laxdal was looking at his team, specifically his skill players, when assessing the loss. "I was ticked off at a few guys with the effort they were putting in," said Laxdal bluntly postgame. "You have to develop urgency early in the game. When you've got your top guy throwing backhand saucer passes through the seam, that's not going to be very productive for us. "It's funny how we have to go after the same guys. I benched a couple guys early in the second period to get something going." Laxdal stayed general, using terms like "top guys" to refer to the players he was displeased with. Specifically, Laxdal pointed out that players were not going hard to the net to create opportunities and many were reverting to old habits that had previously been masked by the team's overall depth of scoring. He added, "In order to put a winning streak together, everyone has to be on the same page." Greg Rallo, who scored in the game, agreed that more was needed from the team, "We had enough chances to win the game but we didn't bear down on those chances. We made a push but overall it wasn't good enough." Rallo, who had Coach Laxdal in Idaho in 2007-08, expanded on how the coach gets his message across, "He gives you a message and gives it to you directly. He tells you where you need to pick up your game and at the same time shows us the positives to create a positive community." Scoring opened in the first when Rasmus Risannen had a slapshot tipped by Andrew Lowe for the 1-0 Checkers' lead. In the second, Texas yielded a second goal coming off a power play. Rowe, this time coming out of the box, collected a pass from Rissanen and went in on Lindback. Matej Stransky caught up to him, limiting the quality of his first shot, but Jared Staal got the rebound for the 2-0 lead. Branden Troock did not play the second or third period tonight, going off in the first with a trainer and not returning. That led to some line shuffling the second, a bit out of necessity and a bit out of Coach Laxdal's aforementioned frustration with certain players. Laxdal said, "These are habits for these guys that have been in place for 4 or 5 years. We have guys on our team that want to revert to old habits." The third period brought hope for Texas. The Stars' power play activated with Greg Rallo finding the net off the tip of a Maxime Fortunus point shot. Their golden opportunity came with a 5-on-3 power play just after the Rallo goal. With 27 seconds of 5-on-3 on the board, Texas lost the faceoff and failed to collect a shot on the 5-on-3 or 5-on-4 portion of the power play. "We had a chance on a 5-on-3, and we lost a faceoff. Guys have to bear down and be ready for something like that. We've talked about that." There seemed to be an epidemic of broken sticks on the ice tonight as well. It was most evident in the final ten seconds. With Texas' net empty, Fortunus broke a stick on a one-timer that had a chance at the net. Chad LaRose scored into the empty net off the broken stick play to seal it at 3-1. The Stars will take Sunday and Monday off in an attempt to rest up and ward off the further spread of the flu bug that has been ravaging the locker room. They do not play again until Friday in Utica. The good news is that Texas got two points last night. The bad news is that Lake Erie, Hamilton and Grand Rapids all did as well. There is a thick pack of teams from seventh to eleventh in the West, all with either 27 or 28 points. The Stars will look to separate themselves with a win tonight against the same Charlotte club from last night. There will probably be some lineup shuffling as Scott Valentine blocked a shot late in the game and had trouble making it to the bench. He had to be helped off the ice to the locker room and will probably give way to William Wrenn in the lineup. Derek Hulak missed the third period last night. Gemel Smith took warmups but did not play. He could jump in as well. It could be a very different lineup on the bottom six easily. In net, Anders Lindback will get the call again. Coach Laxdal is "riding the hot horse" and Lindback is definitely that right now for the Stars. In four AHL starts this year, he has a 3-1 record with a 1.48 GAA and a .950 SV%. Add in that Jack Campbell has reportedly been under the weather as well and it makes sense. Lindback hasn't played a whole lot of games this season and an AHL stint is clearly doing him good in terms of getting back to the form that he showed early in his career with Nashville. If Texas can take last night's win and throw in a power play goal to boot, it'd have to be one of the best four game stretches the team has had all season. Big chance for six points on this homestand and a postive momentum swing as they prepare to hit the road next weekend for a tough three-in-three. With their leading scorer recalled to the NHL and a flu bug ravaging the dressing room, it's been a steady drumbeat for the Stars to increase 'secondary scoring' to win games. Texas needed goals from someone other than the usual suspects and got just that tonight in a 3-1 win over the visiting Charlotte Checkers. "For us, it was a good two points," said Coach Laxdal. "With the transition of players we've gone through in sickness, it was good to see other guys step up for us tonight. "You have to have secondary scoring. We asked a lot of our younger players to step up, and it was a great night for them to step up. " Branden Troock scored his first career AHL goal, and Matej Stransky potted his second goal of the year as Drew MacIntyre faced 40 shots from the Texas offense. "We had quite a few shots," said Troock. "You have to keep going, peppering the goalie. Eventually the bounces are going to go." While there were definitely a fewer finer points that the Stars will want to clean up for tomorrow's game, it was one of the most complete games the Stars have played all season. The penalty kill was stellar, shots against were scant, and scoring came from multiple different lines. Coach Laxdal called the 0/7 power play unlucky as they rang a few posts in the game and could not convert on a 6 minute long stretch of power play time in the first. Overall, however, it was a good building block game for a team needing positive momentum. With the win, the Stars strung together three wins for the first time since the opening three games of the season. Anders Lindback has backstopped them all and will go again tomorrow. In the first, it seemed all but certain the Stars would open the scoring on the power play. The aforementioned six minute advantage could not convert, getting stopped up with a lot of offsides whistles and neutral zone play by the Checkers. Branden Troock made up for it in the second period. The rookie winger appeared to have his first career goal but it was waved off by the ref. "On the first one the puck was right on the goalie's toe," said Troock. "The ref was in the act of blowing the whistle so that was no goal." Troock's line got to stay out for the faceoff and he was a man on a mission. "I was upset that one didn't count, so I had extra motivation. Off the faceoff, I found the puck in their end, went around the net, came out in front and it went in." A few minutes later, Jesse Root's work in the corner put the puck on the stick of Matej Stransky, who outwaited Drew MacIntyre for the 2-0 lead. By the end of the second period, the Stars were outshooting Charlotte 35-9. Texas and the Checkers traded goals in the final frame. Greg Rallo got his sixth goal of the year on a very nice passing play from Radek Faksa. Faksa was asked to step up into the hole vacated by Travis Morin and did well in the role. His pass to Rallo gave the veteran winger an open net from the left wing circle to make it 3-0. As the period wore on, the Stars took a few late-game penalties, which eventually yielded the Checkers' only goal of the night, a 5-on-3 tally with both Brett Ritchie and Maxime Fortunus in the box. Also late in the game, Scott Valentine went down hard blocking a shot off his lower leg. He was unable to get up under his own power for a several seconds as play continued around him. Coach Laxdal noted that blowing the play dead in those cases us up to the referee's discretion. There was clearly an opportunity to blow the play dead when Charlotte exited the zone on a clear by Texas and the referees did not do it. Valentine made it to the bench eventually and exited the ice at the next stoppage. William Wrenn will likely jump in for him in tomorrow's game. The Stars will face Charlotte again to close their homestand tomorrow at the Cedar Park Center. Texas did themselves a huge favor on Wednesday night with a big win. With three home games this week and a pretty middle of the road record, it was time to get on a hot streak and do some damage in the division with this week's contests. Enter the Charlotte Checkers. With just 18 points on the year, the Checkers have the third worst points percentage in the league and sit in 14th place in the West. If there was ever a golden opportunity to pick up 100% of the points in a week, this is it for Texas. These two clubs last faced off in Charlotte in early November. 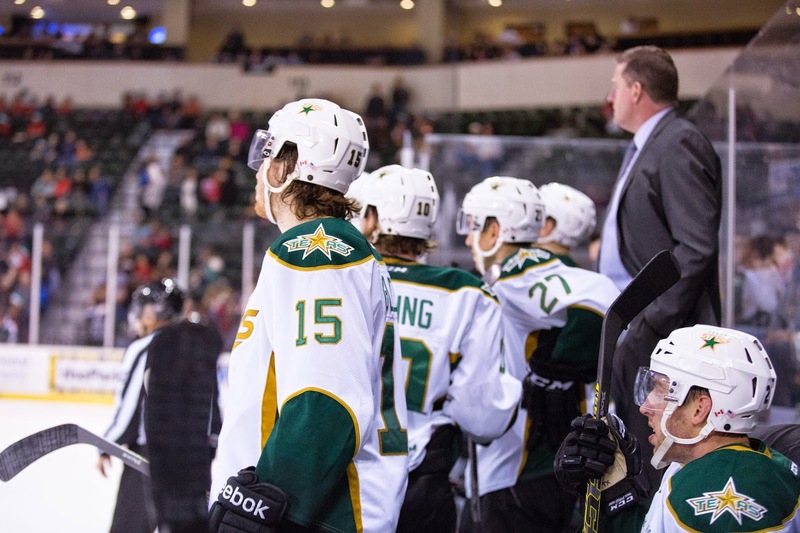 The Stars won 8-2 in the first game but then lost 3-1 in the second to set off their eight-game losing streak. Since that win, Charlotte is 4-6-2-0. They dropped division contests against San Antonio and Oklahoma City but got two wins over Milwaukee in the middle of the run. Familiar names such as Greg Nemisz, Justin Shugg and Brendan Woods make up the top scorer list. Other familiar names are absent, off to Carolina, including Chris Terry, Michal Jordan and Zach Boychuk. In net, Drew MacIntyre continues to shoulder most of the load. He's 7-9-1 with a .909 SV%. John Muse is just behind at .903 SV% but with a disappointing 1-4-1 record. On the Texas Stars player side, Ryan Garbutt's suspension and some illness issues in the locker room have shuffled things a bit. 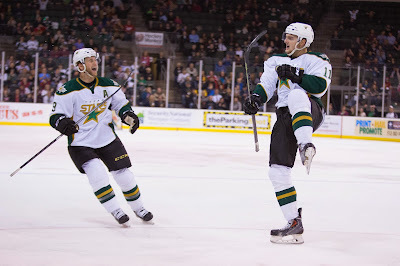 Texas signed Taylor Stefishen to a PTO yesterday and lost leading scorer Travis Morin to call up to the Dallas Stars. They will get Jamie Oleksiak in the lineup for at least tonight as the burly defenseman was assigned to the AHL late yesterday. Gemel Smith was among players under the weather this week. He missed the last game as a late scratch. Will those issues continue to plague the Stars tonight? 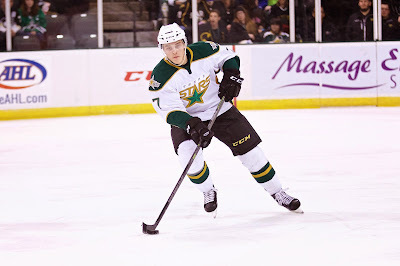 As a result of Ryan Garbutt's suspension, Travis Morin has been recalled from the Texas Stars to Dallas. A recall was expected after the former Texas Star Garbutt earned a three-game suspension today. The only question was who would get the call. Morin earned it as he ranks 3rd in the AHL in points. In an unexpected move, Jamie Oleksiak was also assigned to Texas from Dallas. The large defenseman hasn't played a game for Texas all season, making it into 21 games for Dallas this season. Oleksiak will be available for tomorrow's game against Charlotte. Texas also confirmed the signing of Taylor Stefishen to a PTO. The ECHL transactions page revealed today that forward Taylor Stefishen has been added to the Texas Stars roster. The first year player has 7-11=18 in 23 games for the Elmira Jackals. The signing comes as Texas awaits news of a likely forward recall by Dallas. Former Texas Star Ryan Garbutt was suspended by the league for three games after slew-footing Dustin Byfuglien in Tuesday's game against Winnipeg. As a Texas Star, Garbutt had a penchant for taking ill-timed penalties and now those penalties are escalating to suspensions in the show. Stefishen should help a forward corps beleaguered by both callups and sickness. Gemel Smith was set to play last night but got sick during the afternoon. An unnamed player was said to be throwing up in the locker room during the second intermission. As Taylor Peters reminded everyone after last night's game, wash those hands and take your vitamin C.
The Idaho Steelheads just finished off a six game in nine day stretch with a 5-1 loss to the Bakersfield Condors (Oklahoma City). The Steelheads did manage to take the series two games to one and gain a point in the standings against the Condors. But it was a bumpy end of November and beginning of December with a trip to face the Aces (Iowa Wild) up in Alaska and a one-off game against the Grizzlies (Norfolk Admirals) down in Utah. The Steelheads still maintained their position at the top of the Pacific Division through this difficult part of the schedule. Heading into the weekend’s games, (weekends start on Wednesday for my purposes) Idaho sits two points ahead of second place Ontario Reign (Manchester Monarchs/St. John’s Ice Caps) and 9 points ahead of eighth place Stockton Thunder (Bridgeport Sound Tigers). The Steelheads are hitting a critical stretch of games in December where they have a total of 12 games during the month including the 3 already played against the Condors and the one against the Grizzlies. Throw in 3 against the Reign, 3 against Stockton and then two more against the Aces, this stretch of games will help set the team up for the compressed schedule that they will face in January. The big issue facing the Steelheads right now is that they have jumped right into the “call-up season” instead of just dipping their toe. Of course the team didn’t do themselves any favors by getting off to a hot start; there is a correlation between playing well and player attrition. Here are some notable players that are currently in the AHL: Jason Bast (PTO with Bridgeport), Taylor Peters (Texas), Jesse Root (Texas), and Scott Valentine (Texas). This is only a sampling of what is not currently available to Head Coach Brad Ralph. In net, Olivier Roy has been steady. Henri Kiviaho has continued to get better. Secondary scoring that was the main talking point of this team for the first month of the season is going to be tested and challenged to become the main scoring for a team that hopes to be a contender come April and May. The most consistent point made around the locker room is that it is better to have to go through call-ups and a bit of a struggle now towards the beginning of the season than towards the end of the season. With some of the shuffling going on, Ralph went out and picked up some grit in forward Devin Didiomete who has provided a bit of a spark for this team and will seem to have a big roll on the power play going forward as a big body in front that teams will have to account for. Having just seen him over this past weekend, I was impressed with his set of hands. He might not be the type of “sniper” of a Jason Bast, but he is far from the stone handed fighters of the 80s and 90s. As he gets more comfortable, he’ll fit in just fine. Brett Robinson was also activated from the 21 day IR at the end of November and has started to work off some of the rust from sitting out for the two months of the season. He was able to pitch in with 3 points in limited games, as the new top line of Robinson, Alex Belzile, and Wade MacLeod have found some fast chemistry over the past 6 games. Steve Qualier has continued his strong play of late and has started to find the back of the net, while David deKastrozza now has 9 goals on the year and has filled in for some scoring as well. If the saying is true that, “Recruiting isn’t what gets you through the first month of the season, recruiting is what gets you through the tough times in the middle of the year,” (I might have just made that up) then Brad Ralph has set himself up real nice to get through this bump in the road in terms of roster construction. With names like Belzile, MacLeod, Robinson, Qualier, deKastrozza, Colton Beck and James Livingston, you’ve still got two lines of good scorers on this roster. Add in the grit of a Didiomete, you’ve got yourself a pretty good compliment of forwards. The defense is still in pretty in good shape. Mike Dalhuisen has just been returned from Texas, and Ralph went out and acquired Michal Spacek to bolster the defense as well. Add those players into the core they already have in Eamonn McDermott, Charlie Dodero, Patrick Cullity and Matt Case, the Steelheads are set on defense. Not to mention there is still Troy Vance and Colin Shea if Ralph wants to go with some sort of rotation like we saw at the beginning of the season. If there is another run of call-ups or re-assignments, there might be some cause for concern, but for right now it appears that the Steelheads have figured out the adjustments that they had to make for this past flurry of activity. If they can just continue to keep fighting and scraping together 2 wins out of 3 games, they will have themselves in a nice position a month from now as the race for the playoffs really heats up. Of course that is a lot easier said than done, however it looks like, at least this far into the season, that the Steelheads and Brad Ralph anticipated these moves in the off-season and recruited effectively to minimize them. The Oklahoma City Barons had won eight straight coming into the Cedar Park Center tonight and were looking to add a ninth at the expense of the host Texas Stars. Depth scoring activated for the Stars as Jesse Root got his first AHL tally, William Wrenn potted his first of the year, and Taylor Peters had some key faceoffs to help make those goals happen. "We've been working so hard as a fourth line," said Taylor Peters. "We've had chances, but we haven't been able to contribute offensively. There's a lot of pressure on us to develop that trust with Laxdal and let him play us more. It was nice to have it rewarded offensively." Coach Laxdal added, "You need to have some secondary scoring. They stepped up for us tonight to take some pressure off the top six." The Stars chased OKC goalie Richard Bachman from the net with four goals on fourteen shots in the first 26 minutes. It was the first time a Barons goalie has been pulled all season. "They're a very offensive hockey club and they can strike quickly," said Laxdal of the Barons. "We got to Bachman tonight and got some traffic on him early. We had a good start, getting the first goal. I liked what I saw from the group and our fourth line tonight. It's a pretty solid win." On the other side of the ice, Anders Lindback had arguably his best game for the Stars organization, stopping 34 of 35 shots against him. Lindback was active with his glove hand, putting a quick stop to a lot of Barons' offensive chances. Late in the first period, Greg Rallo got the Stars started on the power play. Rallo was the beneficiary of a rebound and potted the goal to make it 1-0. Coach Laxdal went to his fourth line on the ensuing faceoff, and it paid off. Texas won the faceoff and charge in hard on the OKC net. Jesse Root collected his first career AHL goal with assists from Taylor Peters and Scott Valentine just 22 seconds after the Rallo power play goal. The Stars continued their onslaught in the second period. With the fourth line on the ice again, Taylor Peters won a faceoff back to his blue liners. William Wrenn bombed it from distance on Bachman for the 3-0 lead. "One of the staples of our game is a good net presence," said Peters, who blocked Bachman's view on the play. "Wrenn had a really good one-timer there and it just went in." Three minutes later, Texas took advantage of some tired penalty killers and scored an even strength goal just after a penalty to Iiro Pakarainen expired. Greg Rallo went again, scoring from his familiar spot in the left wing circle off the assist from Derek Meech and Brendan Ranford. "[Rallo]'s scored some big goals for us, and to be honest I'm expecting a lot of him," said Laxdal. "It was great to see him respond. It was great to see him bury one of those because he's had a lot of Grade A scoring chances." As the period wound down, OKC did get on the board. Ryan Hamilton scored on a rebound after Anders Lindback made the initial save on the shot from Jason Williams, but Maxime Fortunus was unable to prevent the second shot from Hamilton. Justin Dowling added one more for good measure in the final frame as he collected his own rebound to make it 5-1. Brett Ritchie collected an assist to stretch his point streak to four games. Ritchie has 3-3=6 in that time. Texas allowed just five shots in the final frame and avoided their recent folly of capitulating in the third. "We only gave up five shots," said Laxdal. "We did a better job of staying on our puck and on our toes [in the third]." Texas stays in town to face Charlotte twice this weekend. The Barons are hot. Very, very hot. They have the second best winning percentage in the league and haven't lost a game in regulation since November 14th. They're on a 9-0-0-1 streak right now with no sign of slowing up. Their two wins in Texas at Thanksgiving pushed them to four more all across the conference in the ensuing two weeks. The Barons beat a good San Antonio club in a tight, televised matchup the day after toppling Texas. OKC then played Utica, Grand Rapids and Milwaukee. They got it done in all three game and in different ways. They played grinding defensive hockey at home against Utica and won 1-0 in overtime. They beat Grand Rapids on the road with an even effort, getting a goal in each period and allowing just one total. They put up five on an always defensively stout Milwaukee squad. It just might be the Barons' year. About this time every year, it feels like the Barons are good but not great. Some amazing coaching comes along from Todd Nelson and gives them the playoff push to make noise in the postseason. If they can maintain that same type of trajectory, taking a fine team and making them even hotter with this excellent squad, then watch out. Nelson is gunning for Utica and Rockford in the West and could get the top seed in the Conference. For the Stars, this is a huge week. Stuck in the mud with a 8-7-7 record, they have a three-game home stand before they hit the road for what would be a tough trip in any year. A three-in-three, just their second of three on the year, in three different cities will tax the team next weekend. Points against this OKC squad would be a huge step. The Charlotte Checkers come to town for back-to-back games this weekend. They are among the next 'tier' of teams in the West. Realistically, it looks like the Stars are in a pretty close race for the last playoff spot at this very moment. Ending this weekend at 11-7-7 would be huge for the club. You have to get four points out of Charlotte. I think 5 of 6 would be a big win for Texas. That sixth point would be a bonus. Getting that sixth would also mean beating OKC tonight, which would breed that confidence that Coach Laxdal and his vet leaders have been talking about. This team has the firepower to get it done but needs to know it can with some big wins. Julius Honka Named to Finland's World Junior Squad; What Does It Mean for Texas? UPDATE: Per Chris Johnston, Dallas has told the Finnish federation that Honka can join the WJC club as long as he's not in NHL on December 23. The Finnish team has announced their roster for the 2015 edition of the World Junior Championship, and Texas defenseman Julius Honka is on the initial roster. Honka competed last year for Finland and won gold with the club. This year's tournament will take place in Canada, co-hosted between Toronto and Montreal, from December 26 to January 5. The 10-team tourney pits international squads of players younger than 20 against each other in a round robin format that culminates in a single elimination playoff bracket for the gold. For those of you keeping score at home, the tournament would be right in the middle of the Texas Stars season. Texas will play five games during that span and a sixth on January 6th that Honka would likely miss if his Finnish team made it to the gold medal game on the 5th. So now comes the question: does Honka go to the WJC? Honka is going to get great experience in the tournament playing against a wide range of international competition. This year's tourney is even being played on NHL-sized ice at the Air Canada Centre and the Bell Centre, so there's no need to mentally switch between the two mid-season. The counter argument to this is that Honka is currently playing against some pretty good competition in the AHL and that was the reason he's in the AHL and not in Europe: the competition. As an argument against, you could note that Honka already did this last year. He got the whole experience and even won gold last winter in the same tournament. What incremental value does playing in this year's version have for Honka's development? Something else to consider is the defenseman thinning that has happened in the Dallas organization. A squad that originally started the year with John Klingberg and Jyrki Jokipakka lost those players when Patrik Nemeth, Sergei Gonchar and Kevin Connauton departed the Dallas lineup in various ways. If those players were still around, I think Honka to the World Juniors would be a no brainer. 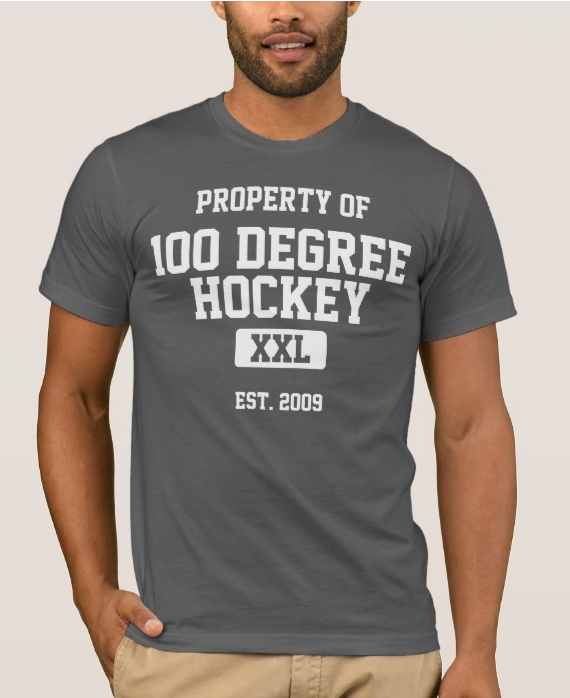 He'd get top minutes there and play a lot of hockey very quickly. However, he might be needed more here in Cedar Park. That being said, the Stars had no injuries this weekend on defense and still signed Connor Hardowa out of the ECHL as an 8th defenseman. If you were preparing to lose a top 4 defenseman for a week and a half, wouldn't you think about signing someone ahead of when you needed them to get them brought in on the system and comfortable with the team? Just a thought. Texas takes its first trip of the year to Canada to visit the 8th place Hamilton Bulldogs. The Dogs aren't exactly setting the world on fire with their win-loss record, but one of their young players is challenging the top of the pack in the AHL scoring race. Charles Hudon, a fifth round pick by the Canadiens in 2012, has 26 points in 23 games. He leads the league in points and hasn't even played half a professional season yet. It's pretty impressive. The Dogs are backstopped by the tandem of rookie Mike Condon and vet Joey MacDonald. Neither is blowing it away on their stats. MacDonald has more wins (6) but Condon has the higher save percentage (.923). As a commenter pointed out, Texas has a single win in their last eleven games. A team toward the middle of the pack in the West would be an excellent opportunity for a W.
Former Star Taylor Vause probably had this one circled on the calendar as soon as he signed on with the Adirondack Flames. After starting the season in the ECHL, Vause was signed on a PTO by the Flames and has been making noise in their lineup ever since. The former Texas Star and Idaho Steelhead scored two, including the game winner, tonight against Texas. Matheiu Tousignant, another former Star, had the primary assist on both goals. Brett Ritchie scored two goals for Texas, his second and third in two games since returning from injury. Connor Hardowa played his first game as a Star, coming up with no points and a minus-1 rating. Goalie Anders Lindback, just assigned from Dallas, put up 23 saves on 26 shots in the loss. Texas moves to 7-7-7-0 on the season with the loss. The Stars play Hamilton on Sunday. The Texas Stars make their first ever trip to the Glens Falls Civic Center to play the Adirondack Flames for the first time. It will be Texas' only trip this season to Glens Falls. The Flames relocated this summer from Abbotsford, where they were known as the Heat. The team was on an island geographically and was drowning financially when the city decided to buy out the contract and send them packing. The club made headlines twice in rapid succession early in the season. First, they released an ill-fated mascot, which was considered broadly in poor taste. Then, Trevor Gillies was suspended 12 games by the AHL for slamming an opponent's head into the ice after a fight. Rather quietly since then, the Flames have built a steady record. After hitting a 3-6-1-0 low on November 1st, the club rattled off nine straight wins and moved into playoff position. They've lost three straight since though and are looking to break that streak tonight. One thing to absolutely notice is that Adirondack is more an Eastern Conference team than Western. They play a lot of Eastern Conference teams and have a lot of those tendencies when it comes to penalties. Adirondack is 3rd in the West in penalties, one of only three teams to reach 400 PIMs so far. Out East, three teams are already in the 500s. Adirondack is benefit from a lot of young scoring. Emile Poirier, Bill Arnold and Garnet Hathaway, all rookies, rank second through fourth in team scoring. David Wolf and Ryan Culkin, also rookies, are sixth and seventh. A few familiar faces are still around from the Abbotsford days, including Ben Hanowski, Corban Knight, and Max Reinhart. Other names to watch for include two former Stars. Taylor Vause, who started the season in Colorado of the ECHL, has 1-3=4 in 7 games for Adirondack. Mathieu Tousignant is 3-3=6 in 21 games with 38 PIMs. Former Rampage captain Nolan Yonkman has three assists for the club and one-time NHL standout Devin Setoguchi has two points in just two games played. In net, it's been Joni Ortio getting most of the starts and the wins. He's 9-5-1 despite having a lower save percentage (.896) than his counterpart, Brad Thiessen (.919). On special teams, Adirondack has a mid-pack penalty kill but one of the league's best power plays. One final note: Texas signed defenseman Connor Hardowa on a PTO last night. Hardowa is a rookie who played four year in college with New Hampshire. He has 2-5=7 in 19 GP for ECHL Utah this season.